November 6, 2018 -- One of the more successful efforts in consumer misinformation campaigns -- right up there with "life" insurance -- has been "silver filings." There's a certain polished sound to the term used for dental amalgam fillings that continue to be used by some dentists to fill cavities. After all, what could be bad about silver? Mostly, the only thing silver about dental amalgam is the color. Approximately half of a dental amalgam filling is liquid mercury, according to the U.S. Food and Drug Administration (FDA). Liquid mercury is a well-known biohazard that easily accumulates in the human body and never leaves. Mercury has used been used for decades to bind the alloy particles together into a strong, durable, and solid filling. Mercury's unique properties -- it is a liquid at room temperature and bonds well with the alloy powder -- contributes to the durability of amalgam fillings. The other half of dental amalgam is a toxic powdered alloy of metals. For decades, the American medical establishment has dragged its feet in recognizing the dangers posed by mercury poisoning in the use of silver amalgam fillings. Its "gee, how bad can it be?" approach to the placement of mercury inside of a patient's mouth can be witnessed in this 2012 review from Toxicology International (May-August 2012, Vol. 19:2, pp. 81-88). "The main exposure to mercury from dental amalgam occurs during placement or removal of restoration in the tooth. ... Though amalgam is capable of producing delayed hypersensitivity reactions in some individuals, if the recommended mercury hygiene procedures are followed, the risks of adverse health effects could be minimized." The problem, of course, is that mercury is highly toxic. Even trace amounts of mercury are toxic, according to a 2014 study in the Journal of Preventive Medicine & Public Health (March 2014, Vol. 47:2, pp. 74-83). In fact, countries of the European Union have banned or restricted the use of amalgam fillings due to its proven toxic and poisonous effects, according to a July 27 article in the British Dental Journal. Yet, despite numerous studies and evidence, the ADA highlighted dental amalgam as a safe, affordable, and durable material in an August 2009 Statement on Dental Amalgam. "Very limited to no clinical information is available regarding long-term health outcomes in pregnant women and their developing fetuses, and children under the age of 6, including infants who are breastfed," the FDA states. Now, if there were no practical alternatives to amalgam fillings, maybe. But that's no longer the case. Composite resin and glass ionomer cements offer safe, cost-effective alternatives. Both have the added benefit of blending in with the natural color of teeth, rather than the stark "metal mouth" look of amalgam fillings. It's been more than 150 years since dentists began using silver amalgam fillings. Old habits die hard. I get it. But the case against continuing to use amalgam fillings is irrefutable. It's time to bring to a close the era of toxic teeth. 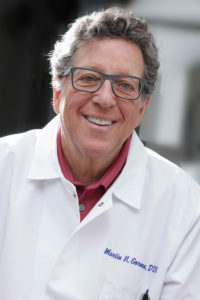 Martin Gorman, DDS, is in practice at the Gorman Dental Center in Encino, CA.